Happy Friday! 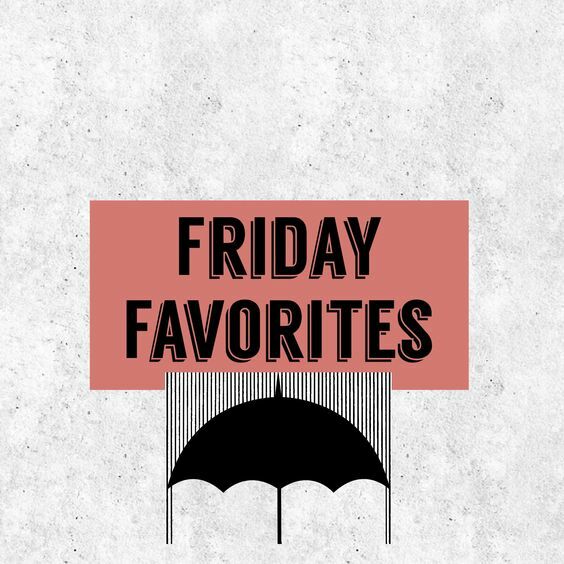 I’m trying out this new category called “Friday Favorites” which would be a range of random things that I like each week. It could be a podcast I really enjoyed listening to, a TV show I’m currently watching, a great meme, a post or tweet that made me laugh, etc. I may not be able to do this weekly right now, but I do intend to do these things more frequently in the future if you (the reader) & I like this in the long run. Sometimes, I have bad days or bad weeks. I find myself getting stressed out to the point where I cry or I feel really down some days & perhaps doing these could help me be a little stronger mentally. These “Friday Favorites” posts will serve as a reminder or a reflection that even though bad days or weeks occur, there were still a few little things to be happy about. These posts are probably more personal for me than it is for you guys, but maybe it’s something you could think about doing in the future too.